Welcome to Hartmann A/C & Heat! Providing superior HVAC and refrigeration sales, services and installations. At Hartmann A/C & Heat, we take pride in getting the job done right and building long term relationships with our customers. We are committed to honest, dependable customer service and will make sure all of your needs are met. In addition to offering heating and cooling system maintenance programs, air conditioning or heating equipment replacement, HVAC equipment repair, heating and cooling systems equipment upgrades and full service HVAC system tune-ups, we also offer a complete air duct cleaning service, air balancing, and insulation services. We offer 24 Hour Emergency Service. For all your comfort needs, we are the HVAC Experts! Preventative maintenance is necessary to ensure your system is running at the highest efficiency and to prevent future repairs. Learn about our Maintenance Program. Did you know that in a 1,500 square foot home, it can accumulate over 40 pounds of dust each year. Each OUNCE of dust is likely to contain dirt, allergens, bacteria, fungi, mold and approximately 40,000 DUST MITES. In each OUNCE! Schedule a duct cleaning today! 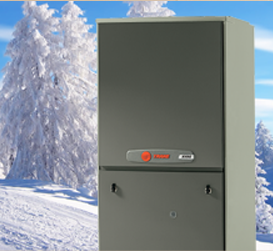 Hartmann A/C & Heat offers a wide selection of Trane furnaces and heat pumps to make sure you are warm inside no matter what the temperature is outside. 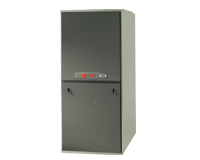 Our reliable, high efficiency systems are the perfect solution for your home heating problems. Systems today rate up to 97.3% AFUE. That means they are over 97% efficient in heating your home. Our heat pumps serve as a way for you to both heat and cool your home all year round. Call us for a free in home estimate. 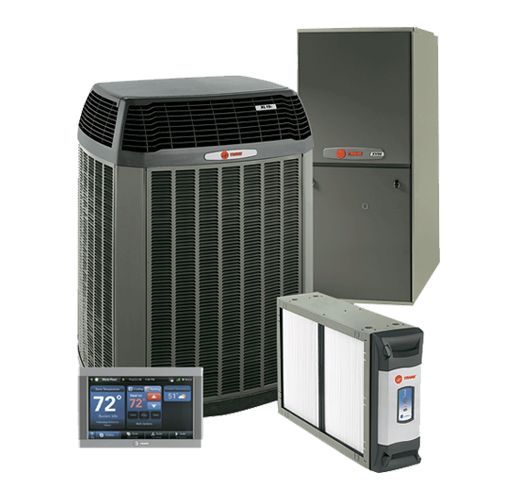 We offer a wide selection of air conditioning and heat pump systems. 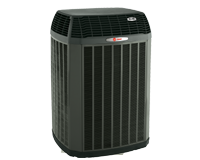 Trane high efficiency air conditioning systems have a SEER rating of up to 20 SEER. That means they are twice as efficient as systems that are 10 years or older. Upgrade to a new air conditioning system and watch your energy bills be cut in half if your system is 10 years or older. Our Trane heat pump systems have a rating of up to 19.75 SEER as well to ensure your system is operating efficiently all year round. 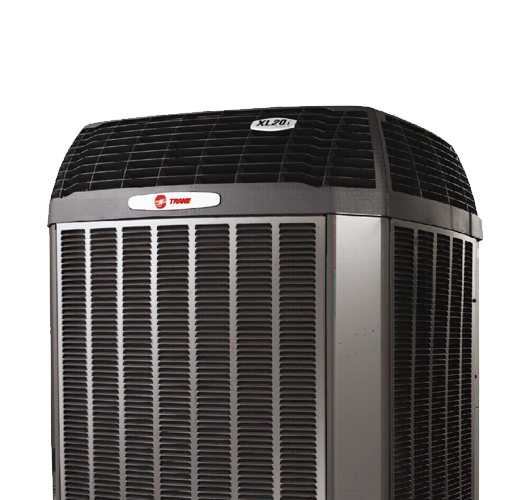 If indoor air quality is a concern for your family, then consider installing a Trane Cleaneffects Air Filtration system. 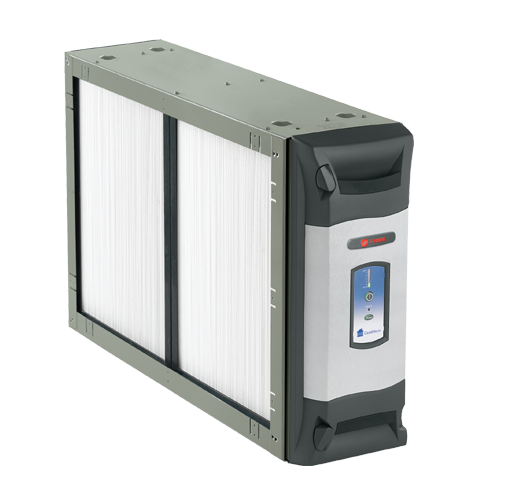 This whole house air cleaner removes up to 99.98% of airborne allergens in your home. 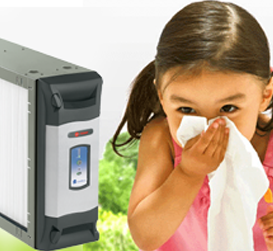 This system is perfect for homes with allergy or asthma sufferers as well as pet owners. 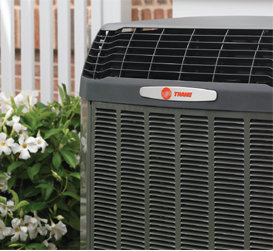 Breathe easy with a new Trane air cleaning system. 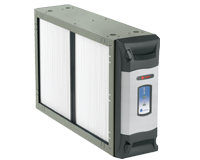 The best solution for indoor air quality problems. Trane offers a wide selection of temperature controls including the latest and greatest ComfortLink II XL950 Digital Touchscreen thermostat. 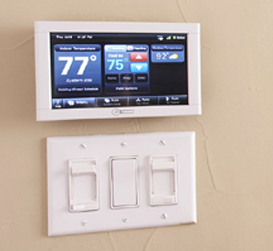 This programmable control gives you remote access, live weather and much more. 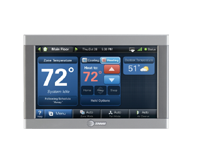 We also offer standard programmable thermostats as well to ensure you have complete control of your home comfort. why Hartmann A/C & Heat?